Mag-Lite®'s NEW MAG-TAC® LED flashlight. Two power levels, and SOS modes. Tested and Recommended by National Tactical Officers Association (NTOA). 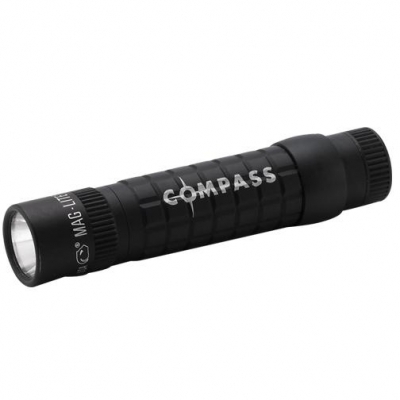 The plain-bezel version of the MAG-TAC® LED flashlight comes with a detachable pocket clip for your convenience. It features three lighting modes all selectable through Mag Instrument's tailcap-switch-activated "Quick-Click™" mode selector. Made in USA. 3. Momentary Mode: The light stays on only while holding the switch button. Colors Available: Black, Urban Gray, Coyote Tan, and Foliage Green and Crimson Red. Barrel 5/8"H x 1 3/4"L. Tail 3/4" x 5/8"